Condition: superb impression of a rare and important print by Sadeler. 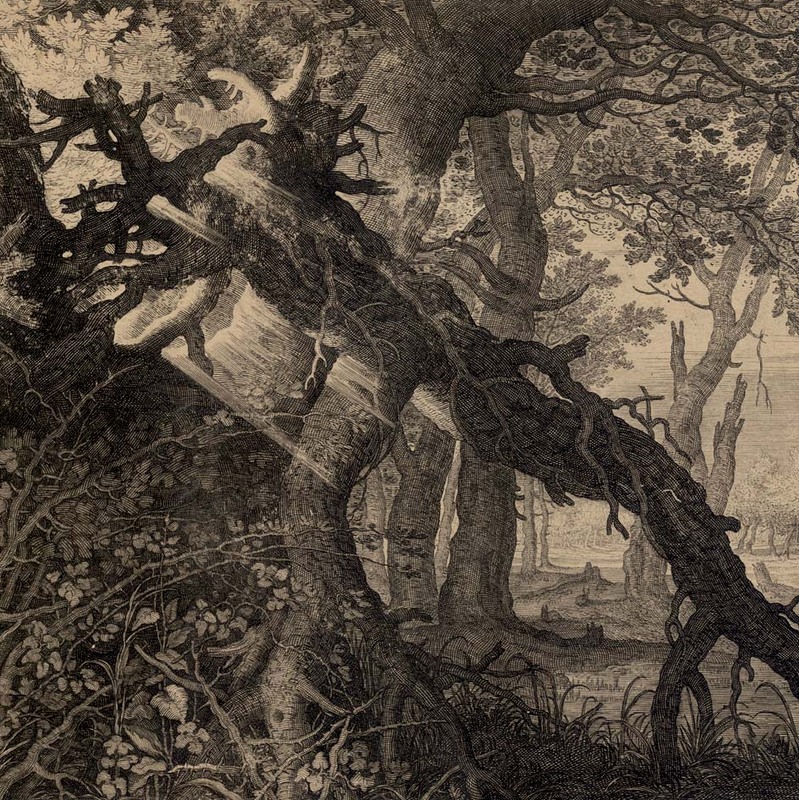 The print is slightly age-toned, trimmed to the image borderline without text lines; otherwise in excellent condition. 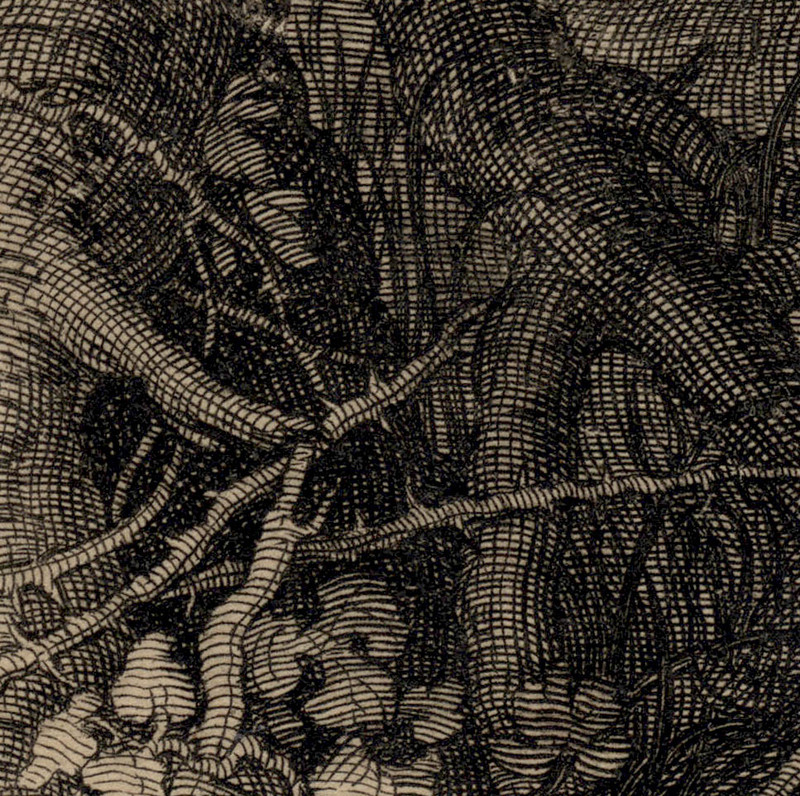 (Note the verso shows what may be a support sheet lining but I am uncertain if this is the case). This is one of Aegidius Sadeler’s masterworks. 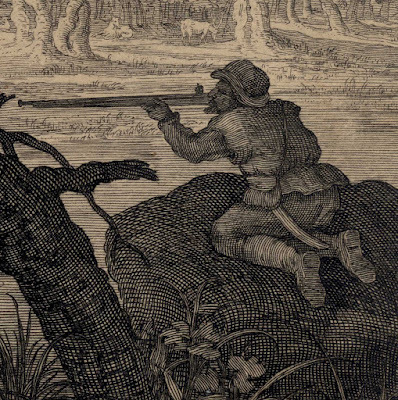 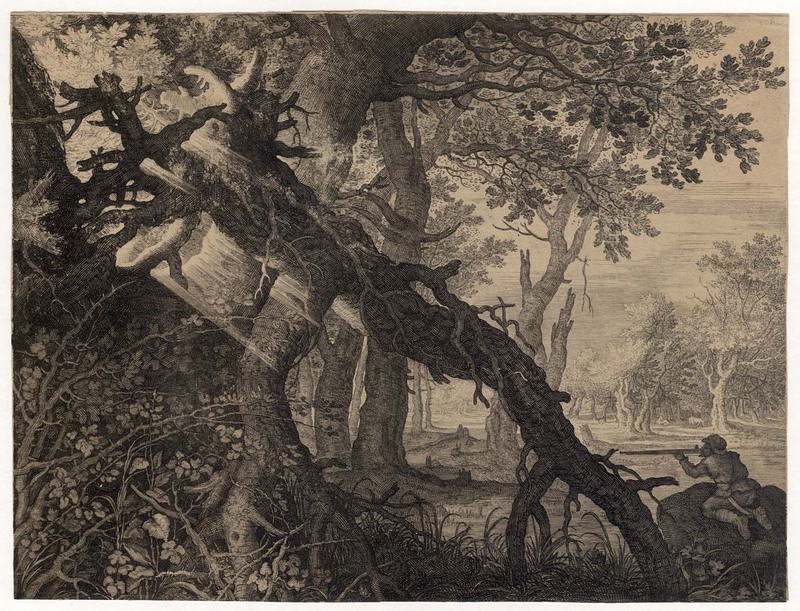 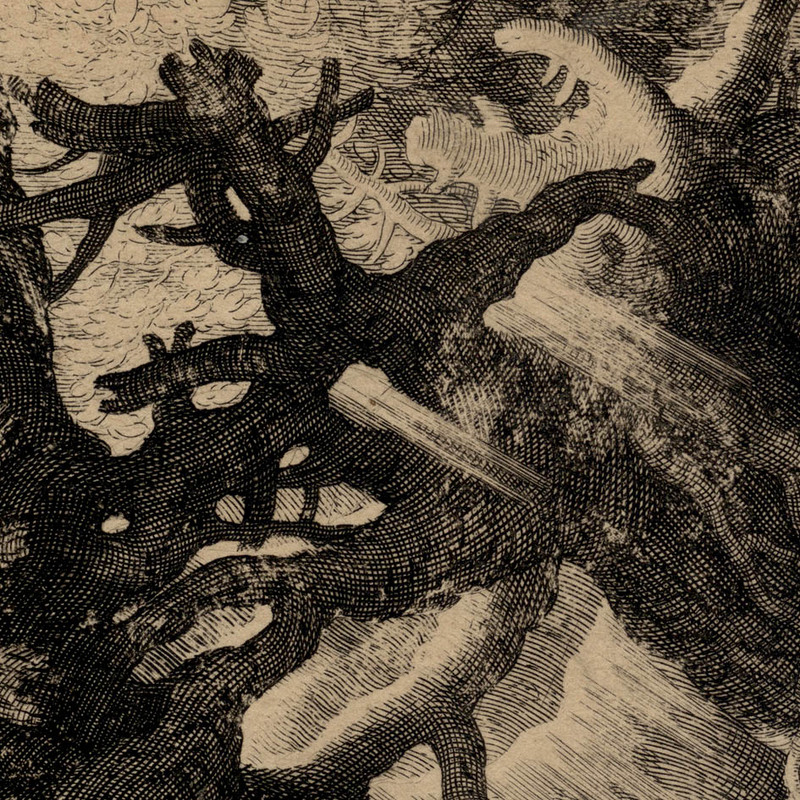 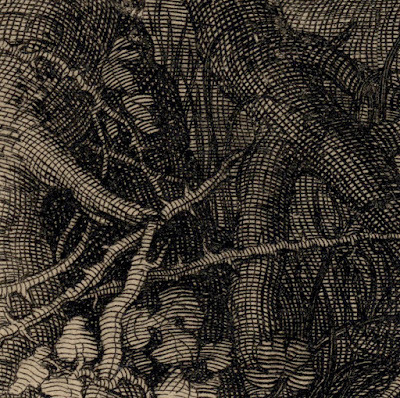 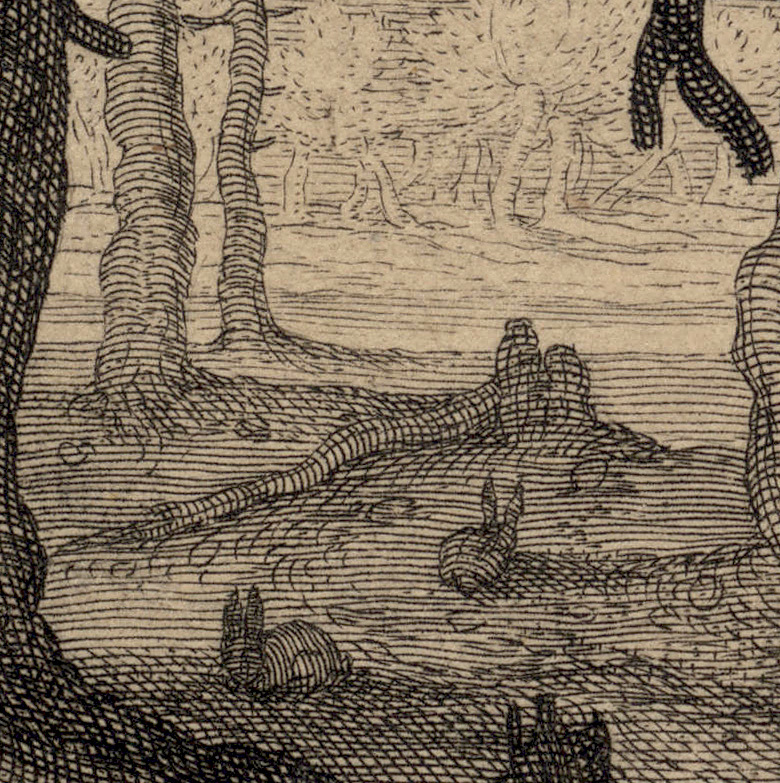 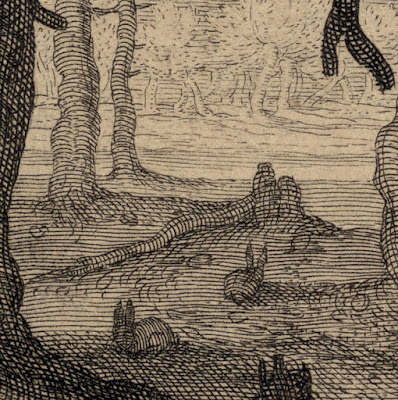 Superficially, the print depicts a hunter shooting rabbits—after all, the title of the work is “Rabbit Hunting.” To my eyes, however, the real subject is not about hunting but rather it’s about a shaft of light penetrating into a shadowy forest following the angle of a fallen tree.